8 octagonal paper plates in rose gold. Rose Gold is so popular right now! That ultra chic and rosey metallic hue is everywhere. 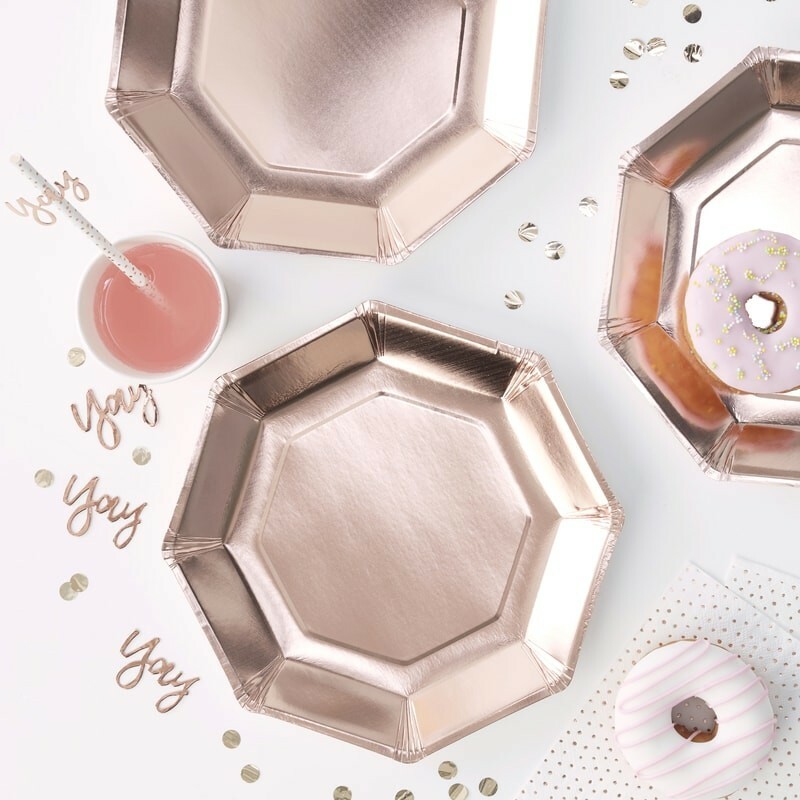 These rose gold octagonal paper plates are incredible stylish. 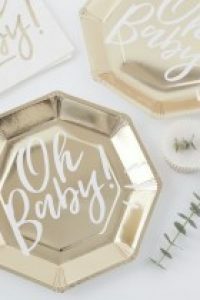 They will be the perfect plates to serve the sweet treats or savoury delights you have in store. 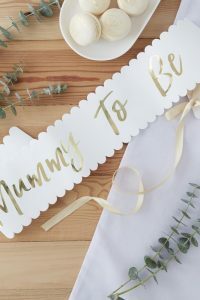 This gender neutral colour is perfect whether you are expecting a boy or a girl! 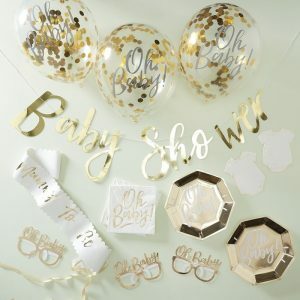 Take your baby shower up a notch by including these adorable rose gold plates. 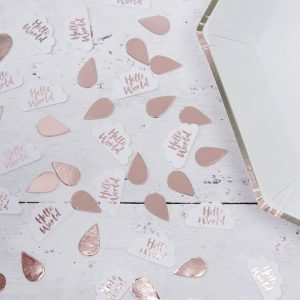 Each pack contains 8 gorgeous rose gold plates. 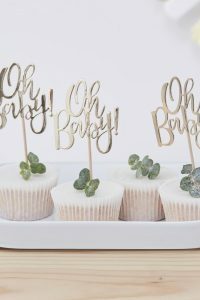 Everyone will get a slice of that Gender Reveal Cake you were thinking of making! Check out our easy recipe for that here!